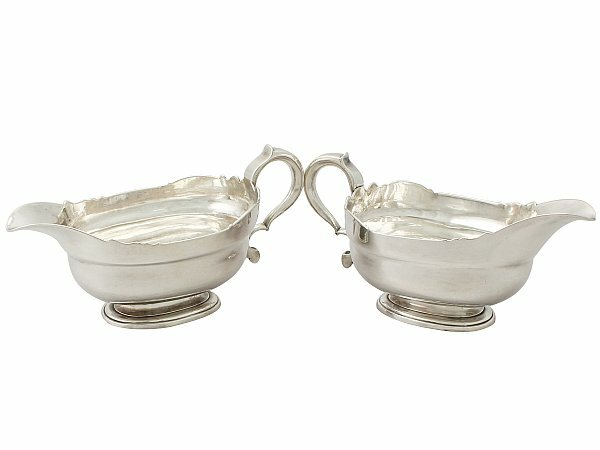 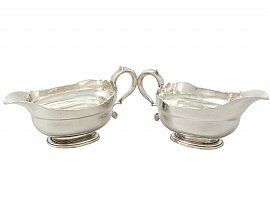 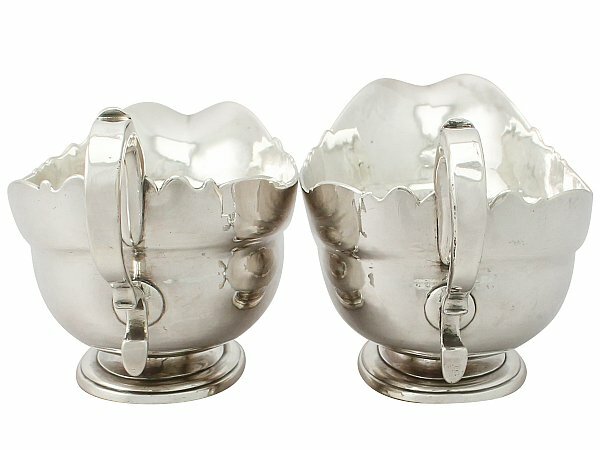 These exceptional and rare antique George II sterling silver sauceboats have a plain oval rounded provincial form onto a pedestal and spreading foot. 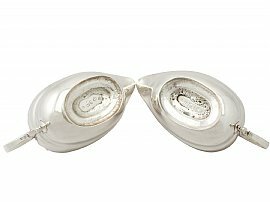 The surface of each piece is plain and unembellished, featuring a subtly convex upper portion and shaped rim. 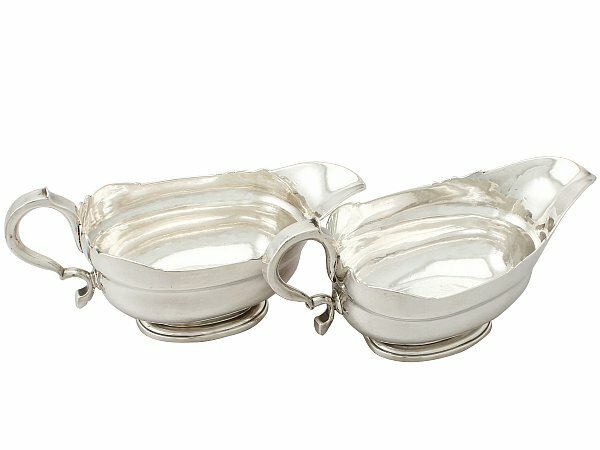 The sauceboats are fitted with opposing scroll handles with a plain scrolling thumbpiece. 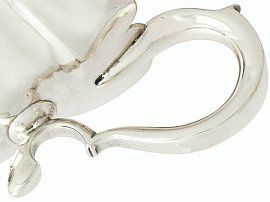 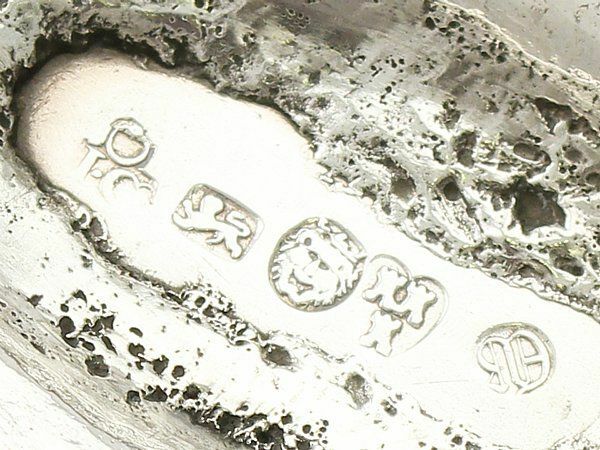 The underside of each provincial sauceboat has the original crude finish; this was typical of Georgian silverware crafted for regular use. 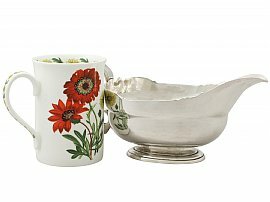 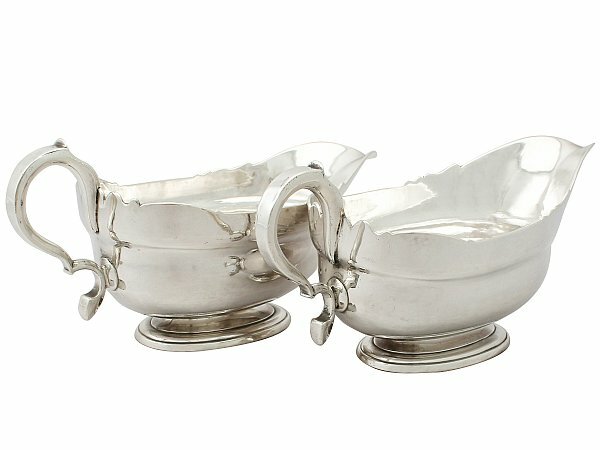 These exceptional antique silver sauce boats were made by the renowned Newcastle silversmith Isaac Cookson; this silversmith crafted items with quality and gauge excepted of a London silversmith. 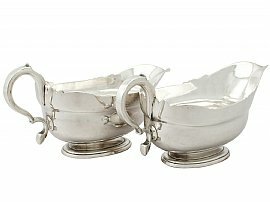 Early pairs of sauceboats crafted by Isaac Cookson are rare and increasingly difficult to locate. 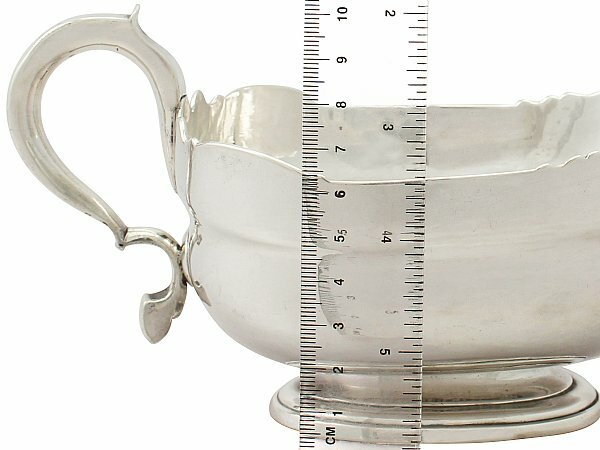 Length from back of handle to tip of lip 21.1cm/8.3"